One Spring morning my girlfriends and I set off to the Kingsland Road to visit the Geffrye Museum . A set of almshouses are home to a series of rooms sets mapping out the changes in the living rooms of Middle Class Londoners. Buried deep in the promotional bumph was the fact that at Christmas the rooms were all dressed seasonally, what a fantastic place to meet up with the Junior CWs’ Godparents before Christmas, I thought, and so that’s what we did! 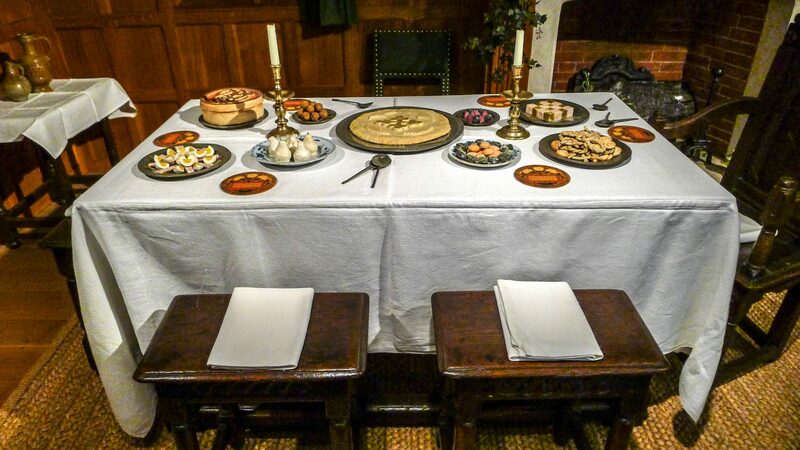 Tudor decorations were great boughs of greenery and special food. The Junior CWs were especially taken with the bacon and eggs fashioned out of sugar! 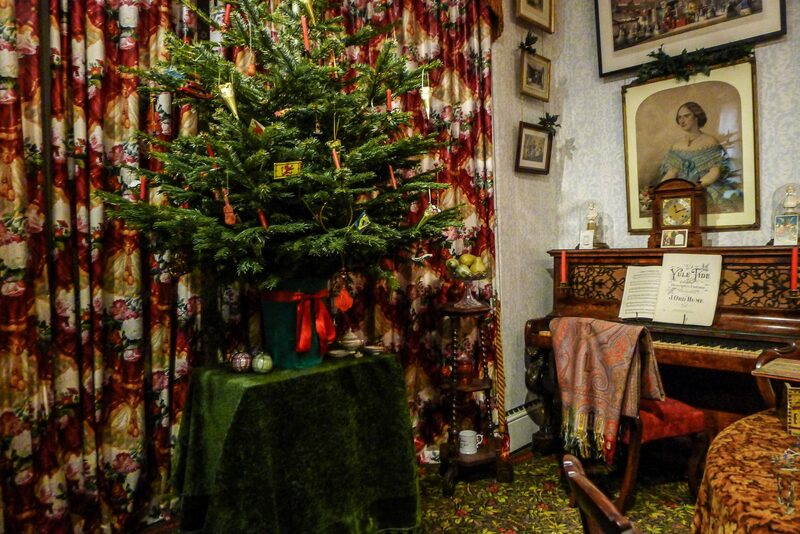 We processed down the ages seeing tables set for twelfth night celebrations but it wasn’t until the early Victorian era that the Christmas tree appeared. Contrary to popular belief it was not Prince Albert who introduced the idea to us but rather an earlier royal spouse, Queen Charlotte. Inevitably it was the more recent displays triggering memories of childhood that held the grown ups’ attention. Baubles from the sixties onwards had us all exclaiming that we had one just like that! Although none of us had a corn dolly fish at home. Mr CW has excavated the memory of the taste of making paper chains. The loft apartment from the 90s contained many of the things that we either owned or coveted when we first came to London and set up home. Lunch was eaten at Song Que, one of the many Vietnamese restaurants on the Kingsland Road and our visit was rounded off with a splendid afternoon tea in the museum tea rooms.